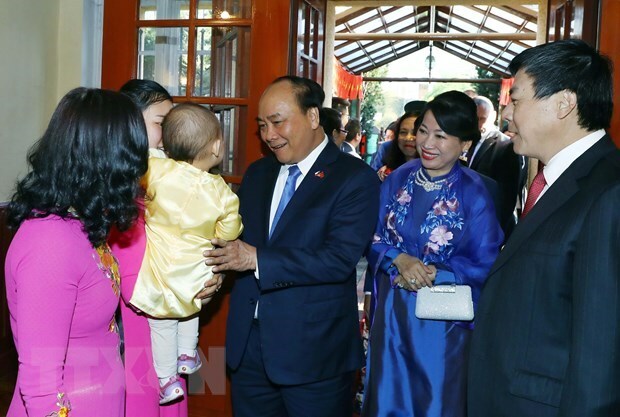 The leader lauded the union for its activities to support the homeland, and expressed his hope that overseas Vietnamese will help the Vietnamese Government further develop the country. The Vietnamese Party and State consider overseas Vietnamese an indispensible part of the nation, and create conditions for them to invest in the homeland, he said. According to UVAE President Hoang Dinh Thang, the union was established in 2016, with an executive board of 30 members from 17 European countries. Over the past two years, the union has joined efforts to organise community activities at the regional level, he said. The union has paid attention to external affairs, he said, adding that it has maintained relations with members of the European Parliament (EP). Representatives of the Executive Board visited the EP twice in Belgium’s Brussels and France’s Strasbourg, during which they called on parliamentarians to support efforts of the Vietnamese community in Europe in integrating into host countries and preserving their culture, along with some issues of Vietnamese’s concern like the EU-Vietnam Free Trade Agreement (EVFTA) and the removal of the European Commission (EC)’s “yellow card” warning for Vietnamese seafood. 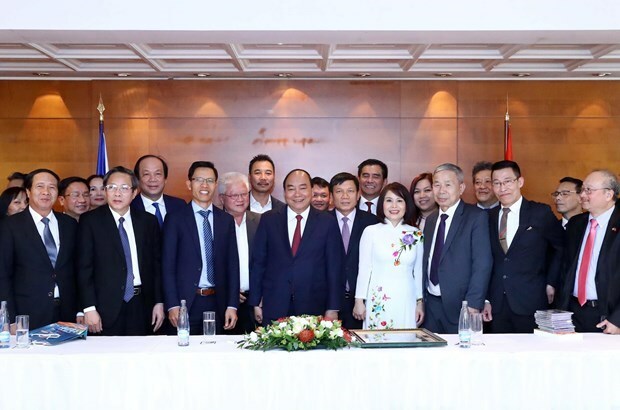 Thang noted his hope that the Vietnamese Government will roll out better policies to encourage local companies, organisations and individuals to invest in the Czech Republic. The same day, PM Phuc met with Marcel Winter, Honorary President of the Czech-Vietnam Friendship Association. it will continue to coordinate with the Vietnamese Embassy. 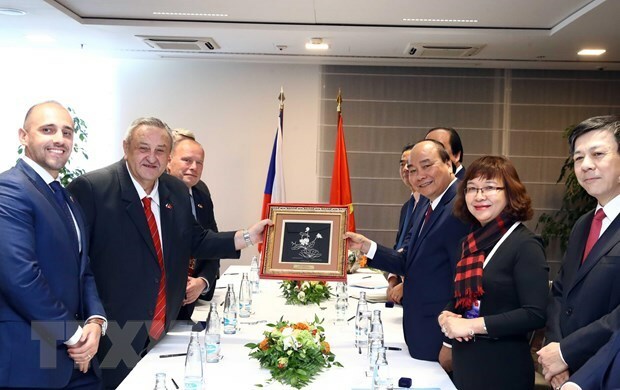 He described Winter, who has visited Vietnam 48 times and worked hard to assist the Vietnamese community in the Czech Republic, as a symbol of the friendship. For his part, Winter expressed his hope that there will soon be a direct flight between Prague and Vietnam. attraction policies and helping raise trade between the two countries. and promote Vietnam to Czech people and businesses. Also on April 16, PM Phuc met Jiri Smejc, Group Executive Chairman of Home Credit. acknowledged by major international organisations and groups. The Vietnamese Government is ready to remove difficulties facing businesses, including Home Credit, he said. 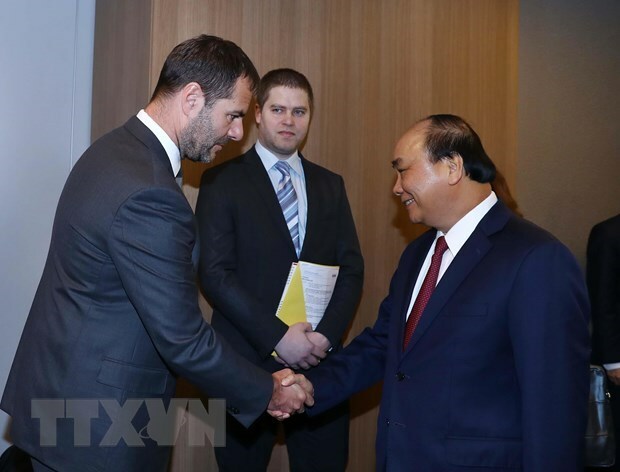 Vietnam will step up cooperation with the Czech Republic in various spheres, the PM stressed, adding this would be an opportunity for Czech investors. Jiri Smejc said since it entered Vietnam in 2005, Home Credit has become the largest Czech investor in the country in personal loans, with half a million customers.